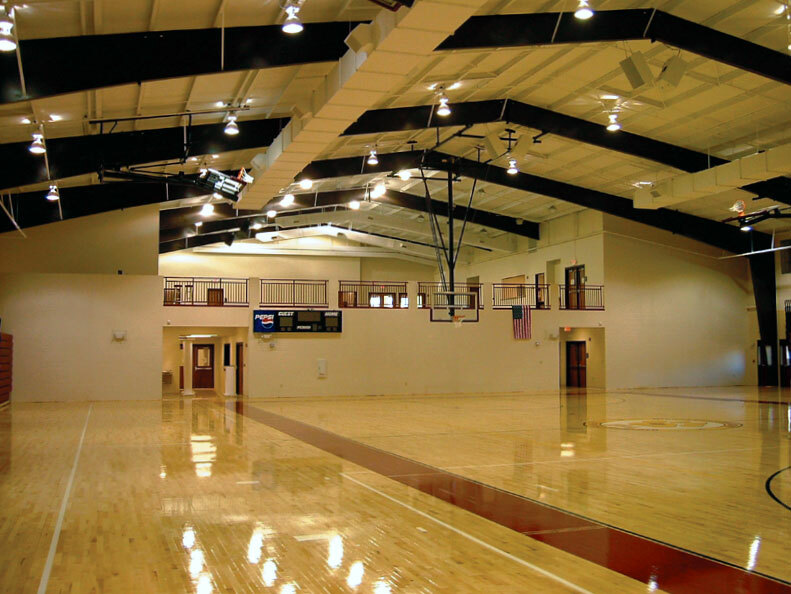 Building a simple structure on a fast-track schedule and a limited budget were primary goals of the Activity Center building program. 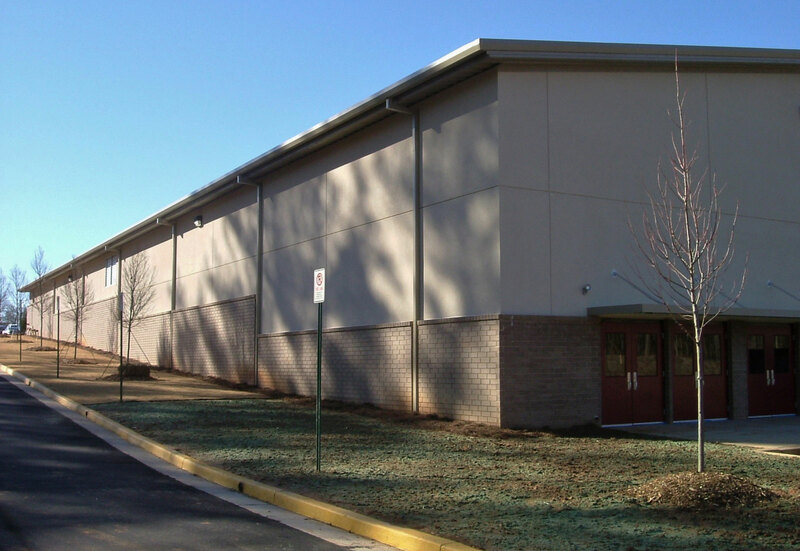 The solution is a cost-effective facility utilizing a pre-fabricated metal building system. 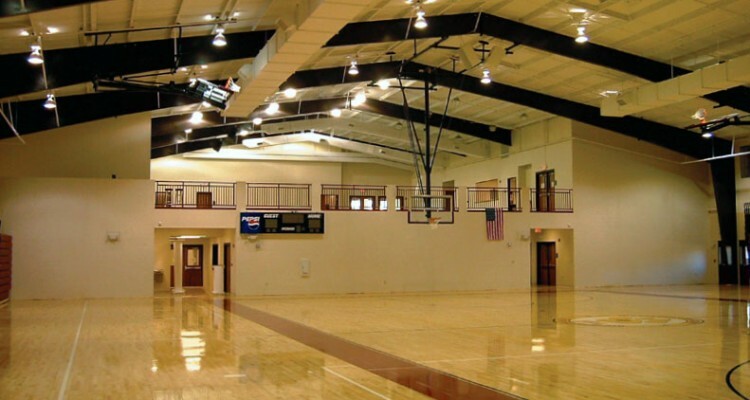 Taking advantage of a sloping site, the design minimizes the visual impact of the building from the campus entrance by building the structure into the hillside, resulting in a low-profile mezzanine-level entrance at the front and a basketball court-level entrance at the rear. 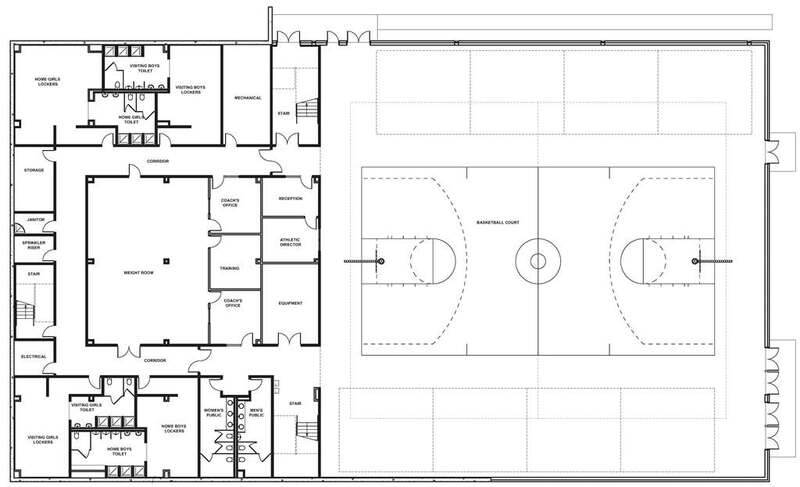 The upper level mezzanine contains a multipurpose assembly area and concessions. 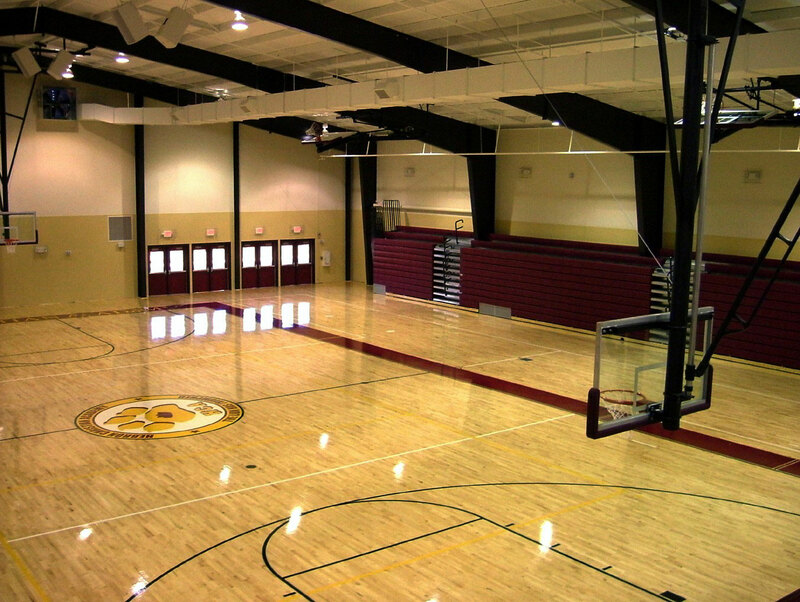 The lower level of the building features a gymnasium with basketball court, locker rooms, weight training areas, and coaches’ offices.